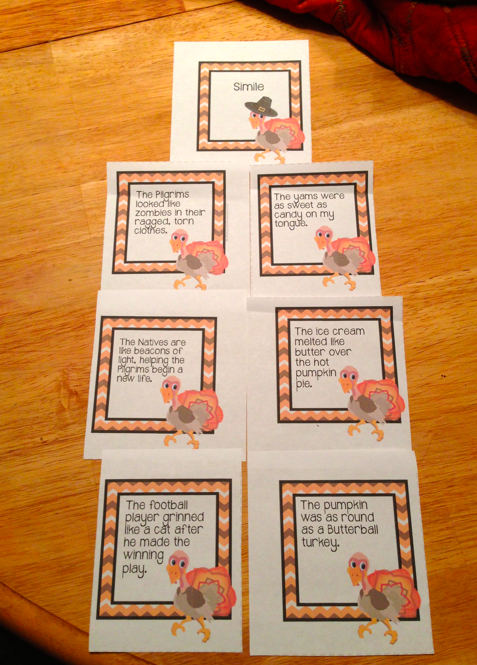 Thanksgiving Figurative Language Pack-- Pin It To Win It! 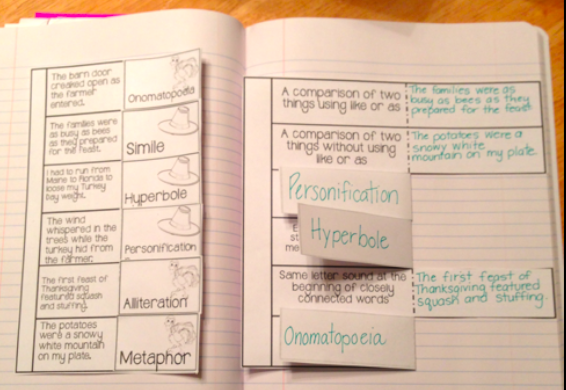 I recently finished up a new Figurative Language Pack for my smarties to use and practice during the month of November. The Pack covers: similes, hyperboles, metaphors, alliteration, personification and onomatopoeia. So far we have really delved into similes, alliteration and onomatopoeia. Hyperboles are on the docket for the next two weeks. 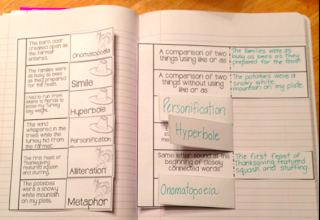 This pack contains cards with 6 matching sentences for each type of figurative language. I am using them in my independent and group work rotations as I am working with my novel groups. I am also using the cut and glue sheets as formative assessments twice within the month. Otherwise you can PIN IT TO WIN IT! Click the Pin below and leave me the Pin URL in the comments. I will pick a winner on FRIDAY. Those look great-thanks for the opportunity to win!